ABOVE: Big Magna getting ready for his next start at Mornington onSaturday. Its going to be a busy weekend for RTD and owners this weekend with runners all over Australia. Starting on Thursday with Destined to Boom who is knocking on the door of breaking his maiden at Donald. Good luck to the RTDW team, lets hope he can break his maiden tomorrow. We also have Zaide running at Albury on day one of the Albury Cup 2 day carnival and she looks ready to win. On Friday we have Westham running on Albury Cup day in what looks to be a strong race. He is in good form though and his run at Sandown a fortnight ago was very solid. We then head to The Valley Friday night with Anjana, Oberland and English Gambler for the last night racing meeting of the season. Good luck to a huge RTD crew who will be cheering the team colours on. 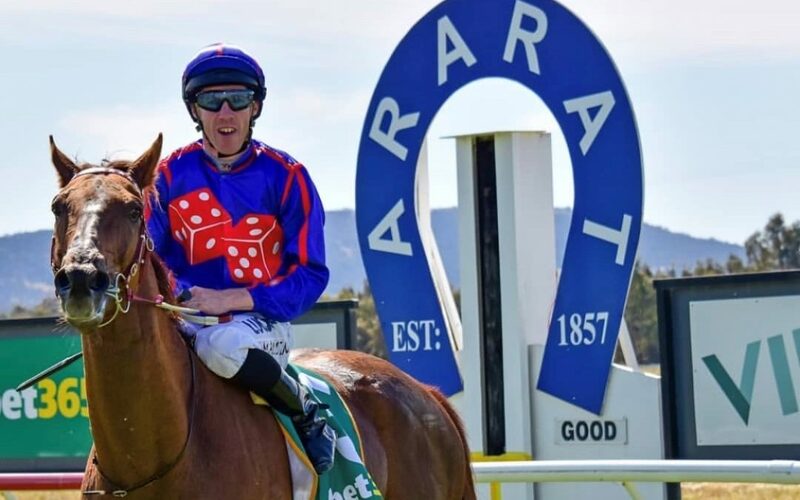 Then on Saturday Krone will be racing at the Golden Slipper meeting at Rosehill and Andrea Mantegna will also be tuning up for Warrnambool jumps carnival at Mornington on Saturday. Good luck to all owners and family members and lets hope its a successful weekend. PS: Check out our video below with Jeremy Rogers and Mick Price talking about our new Rubick filly who isnow over 50% sold!